School of Energy and Power Engineering, School of Mechanical Engineering, Xihua University, Chengdu, 610065, China. 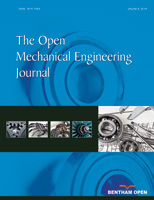 In order to improve the validity and accuracy of fault diagnosis on mechanical equipment, this study applies fuzzy nearness approach by adjusting the traditional formulations. Besides, it points out the disadvantages in fault diagnosis of traditional nearness approach based on experimental data of gear transmission. A fuzzy nearness functionbased model is constructed to execute the fault diagnosis with the assistance of fuzzy nearness principles and fuzzy mathematical membership degree. Following that, a experimental data-based numerical example is implemented, which demonstrates that the adjusted fuzzy nearness approach performs better than the traditional one in diagnosing gear fault effectively and meeting the practical requirements of gear transmission fault diagnosis.